The process for applying to the B.S. in Bioengineering program depends on a student’s current class standing. If you are unclear about your class standing, contact us. Choose an option below to learn more about the application process. Freshman applicants who meet UW admissions criteria and who list an engineering department (or Engineering-undecided) as their first choice major on their application will automatically be considered for Direct to College admission. See the UW College of Engineering website for more information about Direct to College admission. Welcome to the College of Engineering at UW! The deadlines and requirements for each placement deadline are listed below. For each deadline, students must complete the following courses with grades of 2.0 or above in each course and a minimum 2.50 cumulative GPA, and complete at least one quarter as a full-time UW student to request placement. A small number of seats may be available to students in majors other than Engineering Undeclared for admission during the July 1 placement cycle. The July 1 placement is designed for students who have just completed their first year at UW. The Jan 15 placement is designed for students who are currently UW sophomores. If the number of Engineering Undeclared students requesting placement into the major exceeds the department capacity for Engineering Undeclared students, a matching process will be used. The department will use a holistic review process which considers grades, research, internship, or other demonstrated commitment to BioE, and a personal statement to guide the matching process. If you have questions about Direct to College admission, the placement process, or advising for Engineering Undeclared Students, see the College of Engineering website. Upper Division is for UW sophomores who were not admitted Direct to College, including pre-engineering students admitted 2017 or earlier. Upper-division applicants have completed at least four quarters of equivalent college-level coursework and are on track to begin the department curriculum in the spring quarter of their sophomore year. The application deadline is January 15th. Factors included in the admissions decision include grades, especially in prerequisite courses, the personal statement, and considerations such as difficulty of completed courses, frequency of incomplete or withdrawal grades, number of repeated courses, applicable work experience and maturity of attitude, research experience, and special circumstances as disclosed by the applicant. Students must have completed at least 55 academic credits at the time of application, including the following courses or equivalents. Students are encouraged to follow the department’s recommended plan of study to stay on track for admission, and to meet with an academic counselor to discuss their plans. Students must have a minimum 2.0 in each prerequisite course and a minimum 2.50 GPA. Historically, a substantially higher GPA in these categories is required for admission to the major. Successful transfer involves two separate admissions processes. Students must complete an application to the UW and to the Department of Bioengineering. The Bioengineering departmental application is due January 15th. Factors included in the admissions decision include grades, especially in prerequisite courses, the personal statement, and considerations such as difficulty of completed courses, frequency of incomplete or withdrawal grades, number of repeated courses, applicable work experience and maturity of attitude, research experience, and special circumstances as disclosed by the applicant. UW Transfer Admission deadlines are available online. 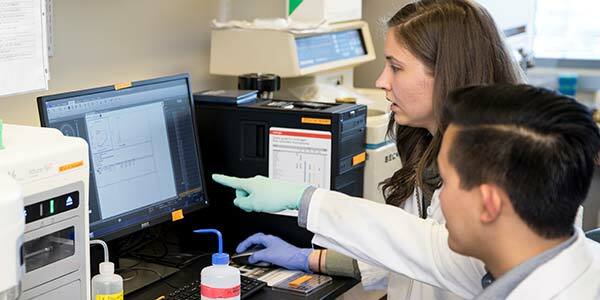 Students can apply for transfer to the UW prior to submitting their application to Bioengineering, or they can submit an application by December 15th for Spring admission. We strongly encourage transfer students to contact us to plan a schedule that works best for them. The departmental application will open two weeks before the application deadline. Even when the application is not open, you can read the list of requirements and see the personal statement prompts by visiting the online application website in order to prepare. Factors included in the admissions decision include grades, especially in prerequisite courses, the personal statement, and considerations such as difficulty of completed courses, frequency of incomplete or withdrawal grades, number of repeated courses, applicable work or research experience, an understanding of the field of bioengineering and special circumstances as disclosed by the applicant.